DC Comics Universe & Doomsday Clock #3 Spoilers: New Rorschach Unmasked As The Comedian Returns! 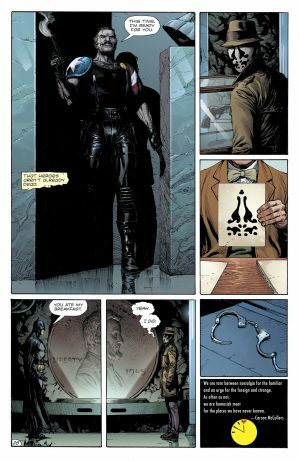 DC Comics Universe and Doomsday Clock #3 Spoilers follows. 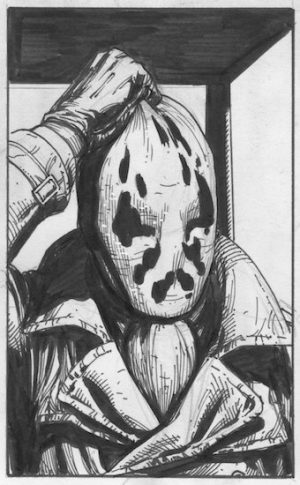 New Rorschach Unmasked in Doomsday Clock #3! Below is from artist Gary Frank’s social media. The below is from Doomsday Clock #3. 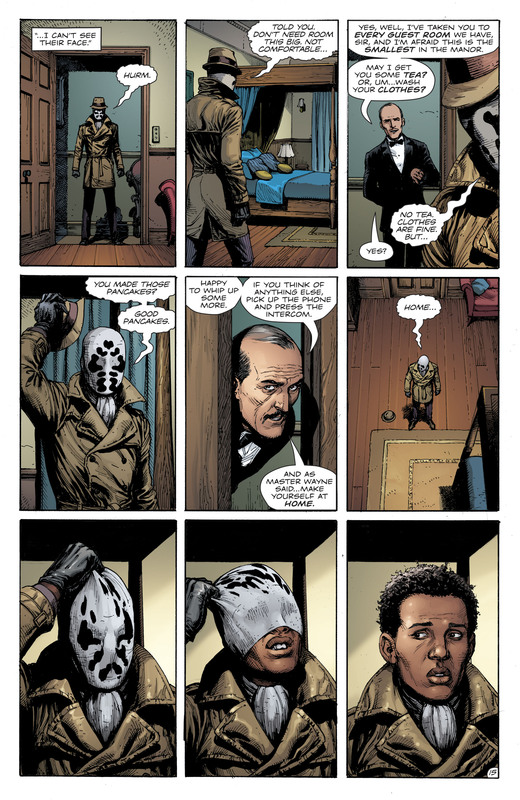 Rorschach is a young African American man. …from last issue’s cliffhanger survived the classic Watchmen series! A deeper review and more spoilers for Doomsday Clock #3 are now HERE.